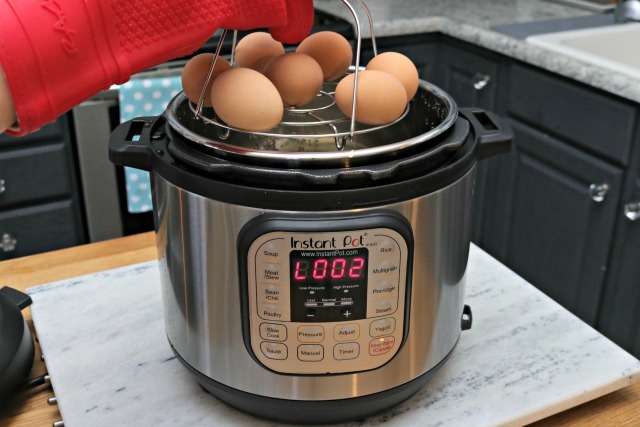 Pressure cookers are back in style, and this tutorial showing How to Cook Hard Boiled Eggs in the Instant Pot is so easy to follow! Let’s do this! This post contains affiliate links, which means if you make a purchase, I will receive a small commission. I love having hard boiled eggs on hand in our refrigerator. I sometimes eat them for breakfast or as a snack, love them in salads, and having them at the ready for quick deviled eggs is great too! 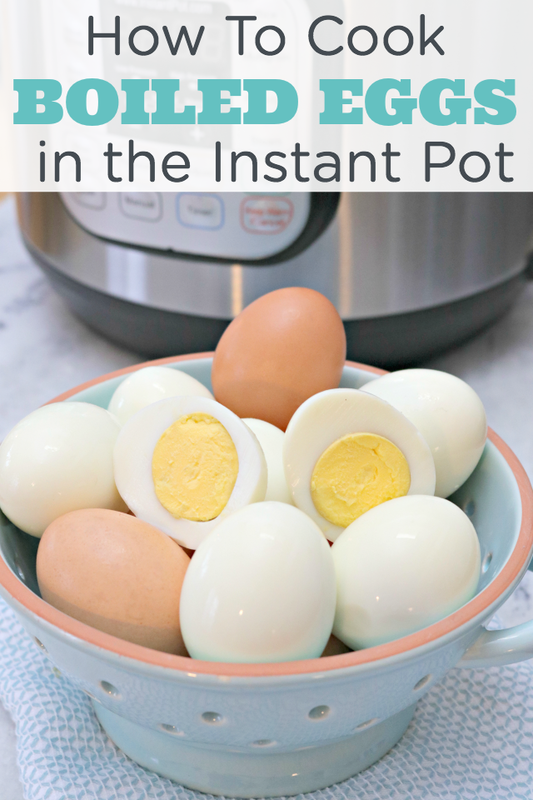 Last year, I shared How to Cook Hard Boiled Eggs on the Stove, but my new favorite method for cooking them is in my Instant Pot. It’s so easy to do, and they come out perfect every. single. time. 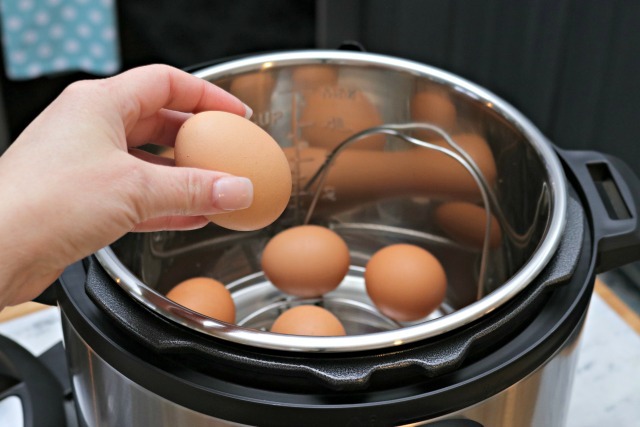 I’m going to show how I cook my hard boiled eggs in the Instant pot, step-by-step. This works with all other electric pressure cookers as well. 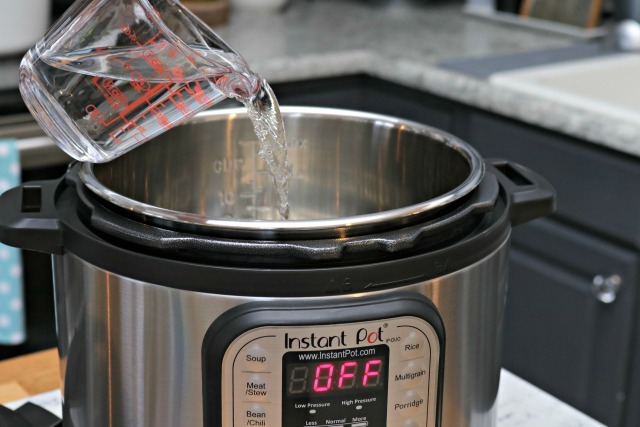 If you are interested in purchasing an Instant Pot, you can find the one I have HERE! Start by plugging your pressure cooker up. Remove the lid, and add 1 cup of water. Next, add the steaming basket. If your pressure cooker didn’t come with a steamer basket, you can use an inexpensive steamer basket like this one. 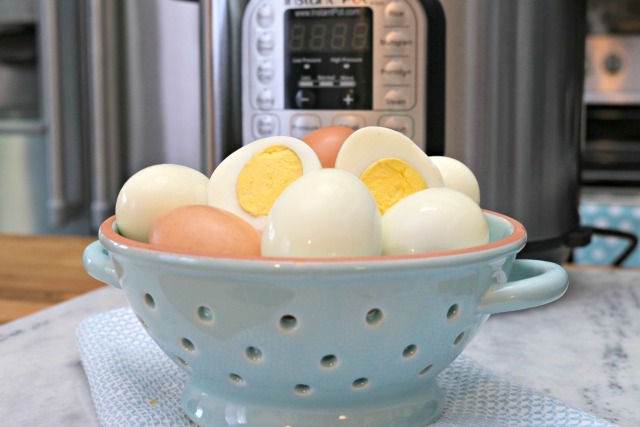 Once your steamer basket is in place, add as many eggs as you like. Just gently place them on the basket in the cold water. Replace the lid and lock in place. Be sure to close the vent or turn it to the Sealing setting. 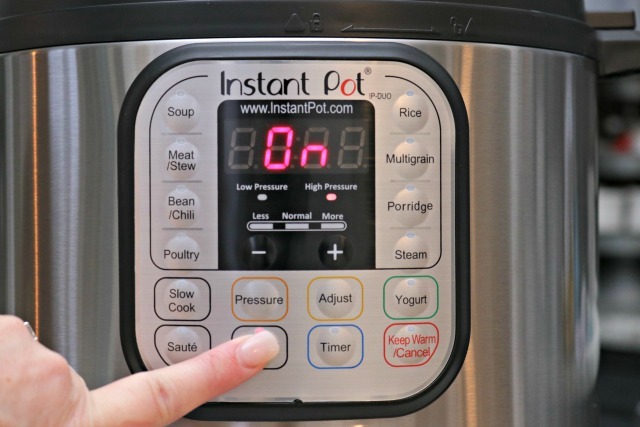 Turn your instant pot on and chose the Manual setting. Now set the cook timer for 8 minutes. Your pressure cooker should start the pressure building process, so just sit back and let it do the work. Once the pressure cooker is ready, the timer will start to count down. 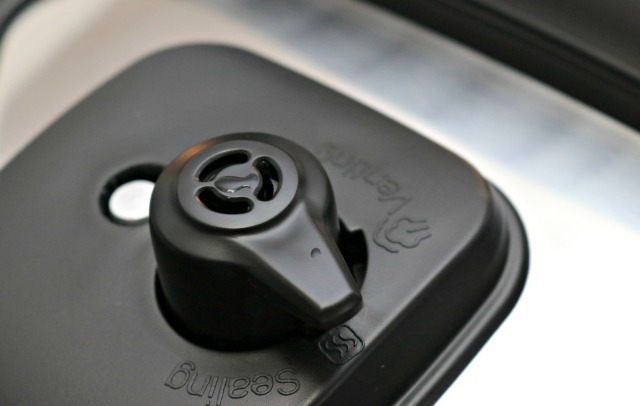 Once the timer goes off, carefully release the vent on the back so it can “quick release” the steam. Once all of the steam has escaped, carefully open your Instant Pot and lift your steamer basket full of hard boiled eggs out. Wear an oven mitt to keep from burning your hands. I like to place my eggs in a bowl full of ice water at this point and I go ahead and peel them before placing them in a container in my refrigerator. They seriously do come out perfect every time! Looking for the easiest way to peel your hard boiled eggs? Check out my video below on How to Peel Boiled Eggs in Seconds! 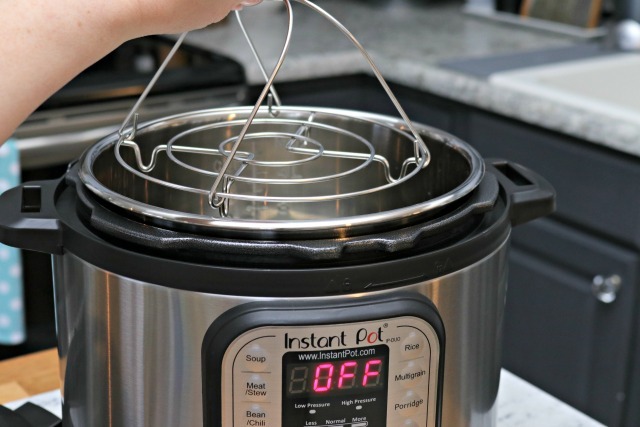 Don’t have an Instant Pot or pressure cooker? Click HERE to see How to Boil Hard Boiled Eggs on the Stove! 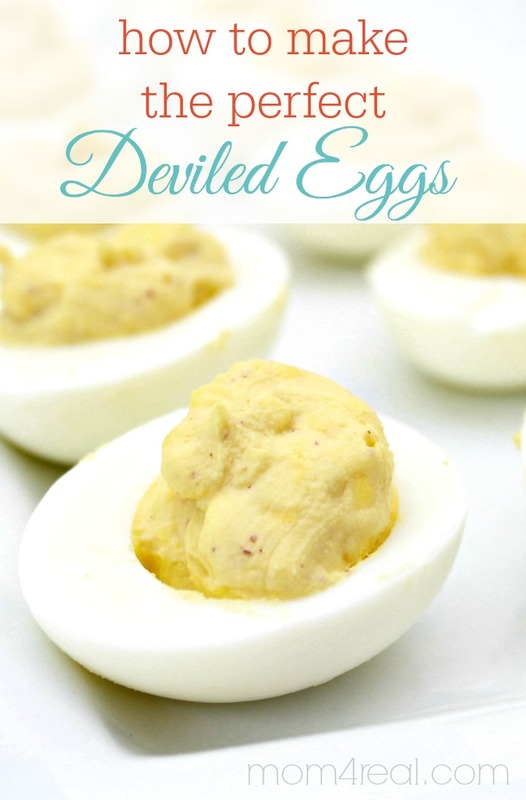 Check out my tips on How to Make Perfect Deviled Eggs HERE! I use to make boiled eggs by your first method–bringing the water to a boil and then taking off the burner–keeping the lid on the pan for 10 minutes and then placing in ice water and then pealing but I have found that by steaming the eggs–and I do not have an instant pot or anything special–I simply put them in a pan–add water and put in a steamer and steam the eggs. After they start steaming, I remove from the burner and let them sit with the lid on for 10 minutes and then plunge in ice water for a short tine and then peal. I don’t find I need to use the spoon such as shown to peal them as the shells practically fall off with little or no effort. I definitely find that steaming works the best for me. An easier was to peel is to tap on the counter then roll the egg forward on the counter with the palm of you hand and the shell practically falls off for you. Printed out your directions as detailed. …. 1 cup water, 6 eggs in trivit, Instant pot on Pressure, High, 8 minutes. Fast pressure release, go into very cold water. Eggs were not quite done, whites and yolks were not firm. Does the size of the eggs, or the temperature of the eggs make a difference? These eggs were in the frig . I’m not sure why they wouldn’t be done…they absolutely should be, and I always use large eggs straight from the refrigerator. The only thing I could think of that would cause this is them being frozen. I’m curious if you live at altitude, Larry. I’m about to try Jess’s recipe to steam my Easter eggs and I live at about 5,900 ft. I’m wondering if I should add an extra minute or two like I do with most grain and bean recipes. Thanks! Do you live at a higher altitude? I read in one article that you should add an additional minute if you live over 5,000 feet altitude.